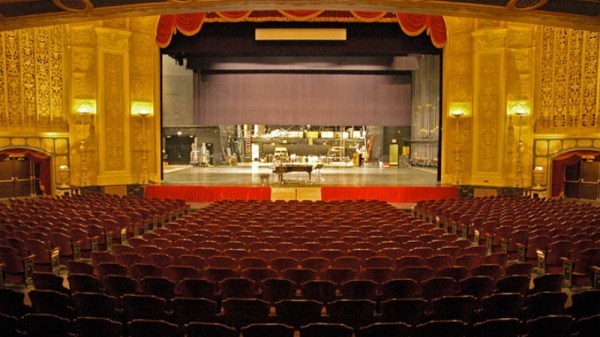 The Detroit Opera House is at 1526 Broadway. It covers one city block between Witherell, John R, Broadway and Madison. Exit I-375 (toward Civic Center). Go a quarter mile and exit at Madison (on the left). Continue on Madison about a half mile. The Opera House will be on your left. Take the Grand River exit (exit 50). Stay on the service drive, which will take you to Woodward. Turn right (south) onto Woodward, go three lights past the Fox Theater and turn left onto Witherell (after Grand Circus Park). Go one block. The Opera House will be on your right. Turn right onto Woodward, go three-quarters of a mile north to Witherell (one block north of John R). Turn right onto Witherell, go one block. Exit Bagley (on the left). Follow Bagley a half mile (it veers left at Cass) until it ends at Park. Turn right onto Park and cross Woodward (Park becomes Witherell east of Woodward). Go one block. The Opera House will be on your right. Exit I-75 south (exit 216A to Flint/Toledo). Take I-75 south to I-375 (toward Civic Center). Go a quarter mile and exit at Madison (on the left). Bear right and continue on Madison about a half mile. The Opera House will be on your left. Take I-94 to M-10 (John C. Lodge) south. Exit at Bagley (on the left). Follow Bagley a half mile (it veers left at Cass) until it ends at Park. Turn right onto Park and continue across Woodward (Park becomes Witherell east of Woodward). Go one block. The Opera House will be on your right. Take I-96 to I-75 north. Exit at Grand River. Stay on the service drive, which will take you to Woodward. Turn right (south) onto Woodward, go three lights past the Fox Theater and turn left onto Witherell (after Grand Circus Park). Go one block. The Opera House will be on your right. Take I-75 north about four kilometers and exit at Grand River (exit 50). Stay on the service drive, which will take you to Woodward. Turn right (south) onto Woodward, go three lights past the Fox Theater and turn left onto Witherell (after Grand Circus Park). Go one block. The Opera House will be on your right. Exiting the tunnel, bear right at Randolph and go about one kilometer. Bear left at Broadway. The Opera House will be on your right. Prepaid parking is available for opera, dance, and other events (prices vary). Save time and money by reserving parking when you purchase tickets online or call (313) 237-7464 to prepay. 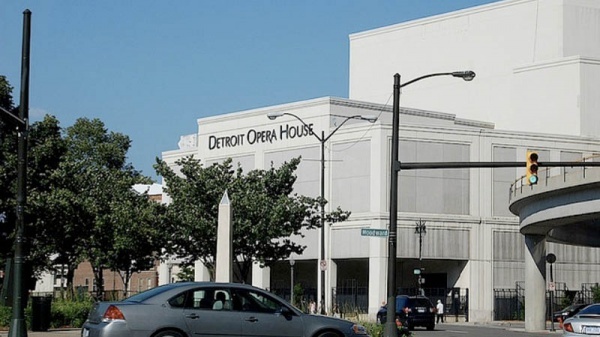 Click here for more information on the Detroit Opera House Parking Center. Valet parking is available to General Director’s Circle members and Dance Patron Circle members on the Madison St. side of the Opera House prior to most opera and dance performances. 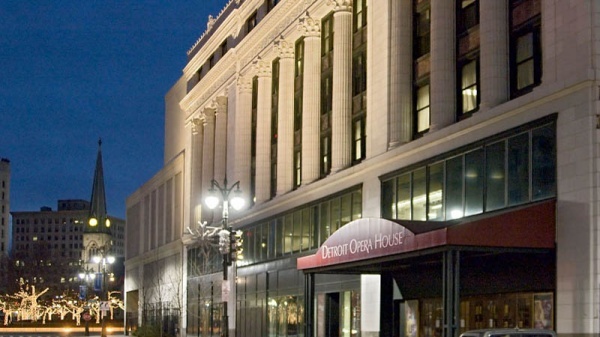 The Courtyard Detroit Downtown is located just blocks from the Detroit Opera House and features a special package for Detroit Opera House guests, including overnight accommodations and two tickets to the opera. Where Your Service is Our Pleasure and Your Palate is Our Passion! The Cadillac Café is a cozy, pub-like bistro right inside the Opera House. It opens two hours before curtain for salads, soups and sandwiches, and remains open for desserts following performances.